I am pleased to share that two of my quilts are part of the exhibition, Losing the Compass, at White Cube's Mason's Yard space. The exhibition was curated by Cameron Weaver and Mathieu Paris, and includes an exceptional group of work. Unconventional & Unexpected comes to a close. 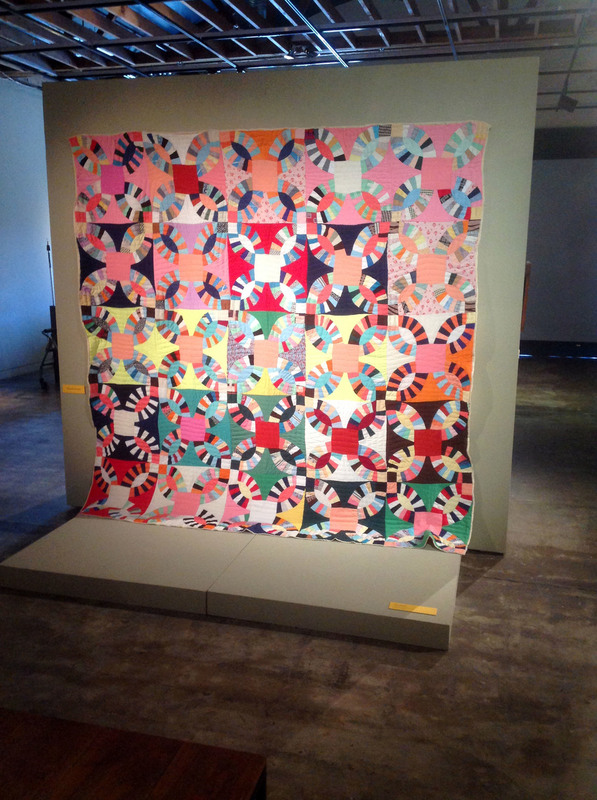 I have been unpacking the quilts from my exhibition that closed on May 17 after it opened on February 14 of this year. 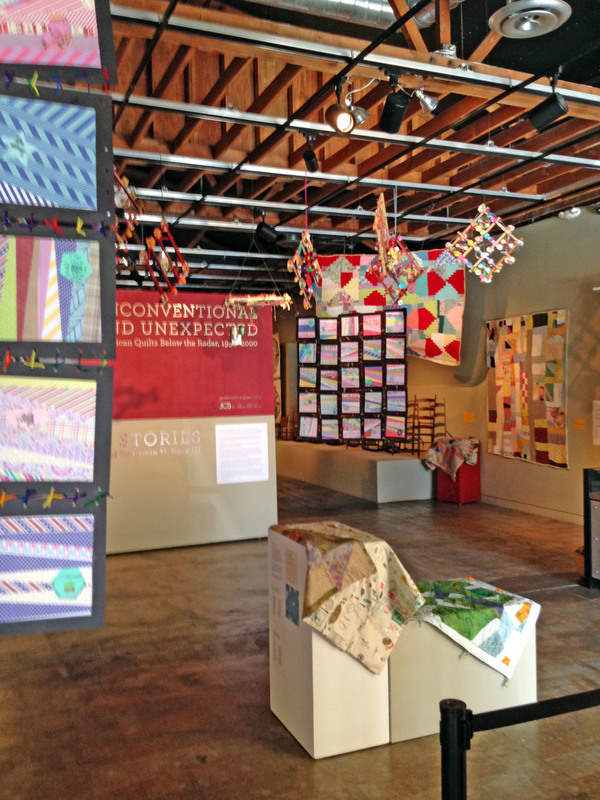 The quilts from my recent book, Unconventional & Unexpected, generated so many ideas and excitement that flowed into this exhibition of the same name at the Sonoma Valley Museum of Art. 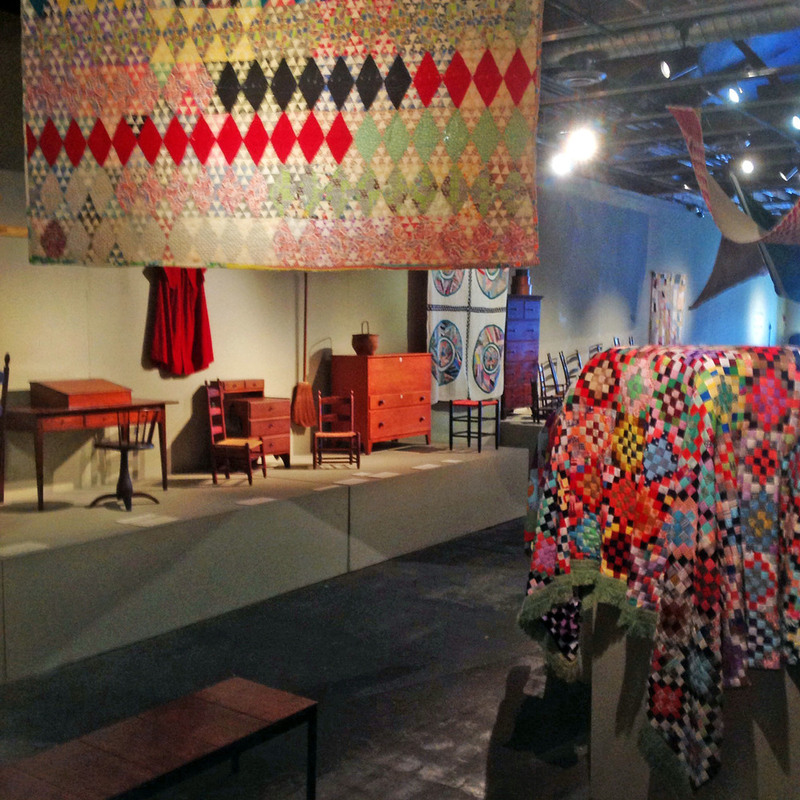 It was thrilling to see the quilts as I imagine them: freely flying, invitingly draped over a pedestal, or with its back shown instead. Toward the end of the exhibition as part of the A.R.T.S. Student Exhibition, 4th and 5th graders from Sonoma came to visit the exhibition. 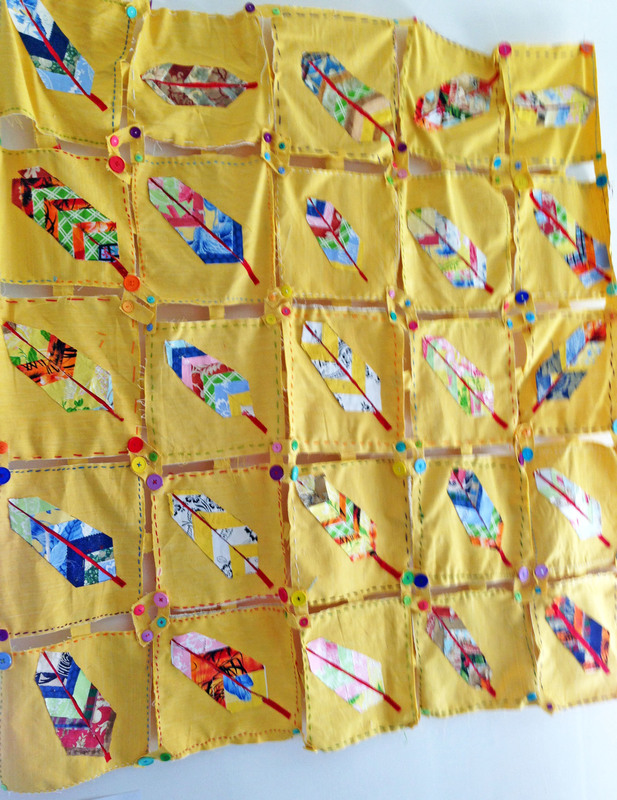 After seeing the quilts, they responded in kind with their own quilted creations. 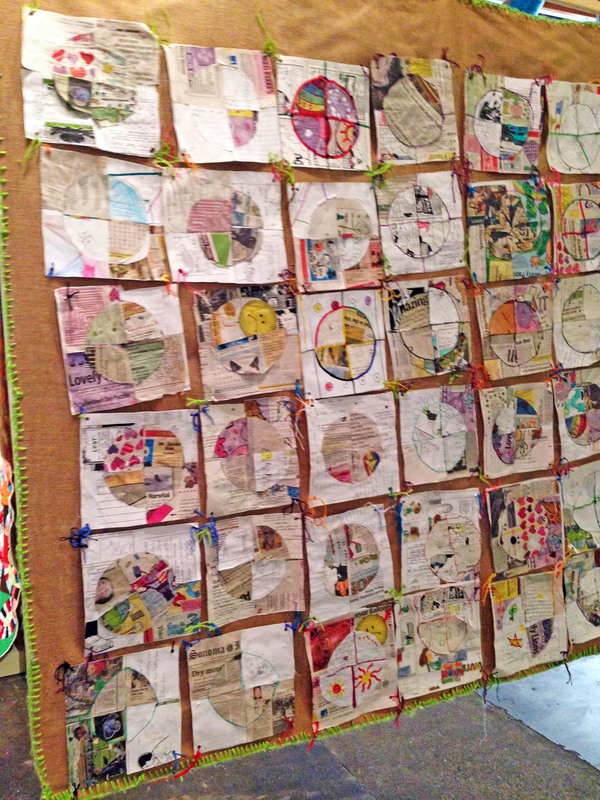 They installed their pieces amongst Unconventional & Unexpected, titling their show Piecing It Together. The concurrent exhibitions paired so very beautifully. I am in love with their masterpieces! 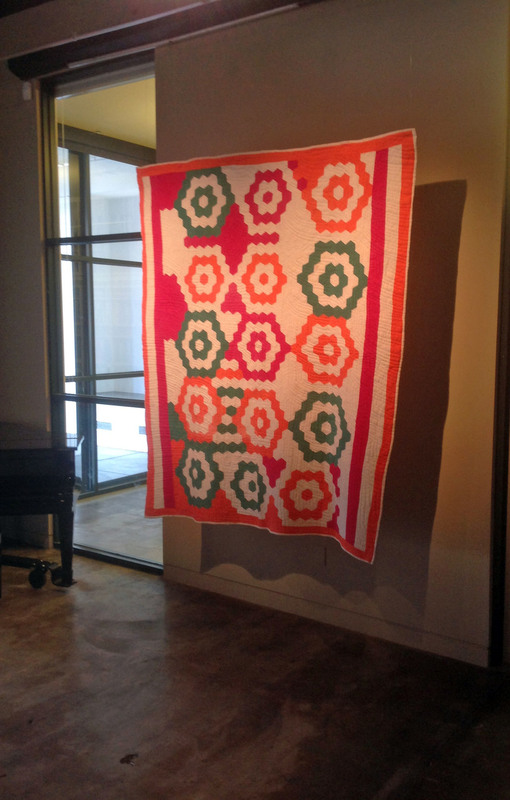 Sonoma Index-Tribune asks Kiracofe "why he finds such comfort in his vast collection of comforters"
Renowned quilt authority and collector Roderick Kiracofe hangs some quilts Wednesday as part of an exhibit at the Sonoma Valley Museum of Art. Image: Robbi Pengelly of Sonoma Index-Tribune. The exhibition also titled Unconventional & Unexpected is finally up at the Sonoma Valley Museum of Art. The Sonoma Index-Tribune did a beautiful piece on the exhibition. They came with great questions. Read more in the Sonoma Index-Tribune. U&U is being exhibited simultaneously with Shaker Stories from the Collection of Benjamin H. Rose III. The Sonma Index-Tribune put together a beautiful gallery of images from both exhibitions. Unconventional & Unexpected, the exhibition, runs from February 14 until May 17, 2015 at the Sonoma Valley Museum of Art.